His future in competitive play is suddenly uncertain. Just hours after 100 Thieves beat OpTic Gaming to end the third week of the 2018 NA LCS Summer Split, the organization is set to shake up its roster. William “Meteos” Hartman tweeted that his contract was traded to FlyQuest today, but has since deleted the post. The move comes less than a week after the organization announced Academy player Đỗ “Levi” Duy Khánh would be starting over Meteos at the upcoming Rift Rivals tournament. Meteos’ future is now uncertain. 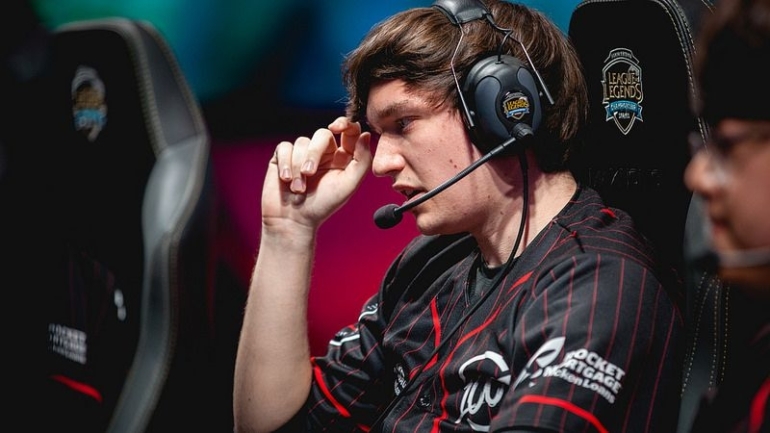 The veteran jungler made it clear he doesn’t want to play in the Academy league, so it remains to be seen whether he’ll remain on the bench or be let go. The trade also makes his former teammate Kim “Ssumday” Chan-ho’s position with 100 Thieves unclear. Ssumday was also replaced on the starting roster for Rift Rivals, with Brandon “Brandini” Chen set to play instead. Since Ssumday isn’t a native North American player, 100 Thieves can’t field him, Levi, and mid laner Yoo “Ryu” Sang-wook at the same time. At most, only two of those players can be used at a time due to import rules, perhaps indicating another trade in the near future. Meteos is a former NA LCS champion, winning it in his inaugural split with Cloud9 in 2013 and repeating the split after. Many League fans will be interested to see what the future holds for this popular jungler. Update July 1 9:04pm CT: ESPN’s Jacob Wolf has since reported that Meteos was traded for FlyQuest Academy jungler Andy “AnDa” Hoang.